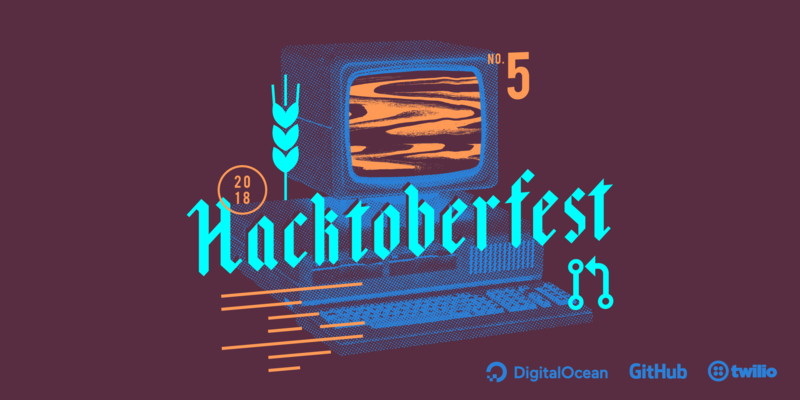 October arrived, and with it one of the great community events of the FOSS year, the Hacktoberfest! This event co-organized by Digital Ocean and GitHub has simple rules: contribute 5 pull requests to open source projects on GitHub, and you will get a cool T-shirt (plus eternal recognition from project maintainers and internal fame in many communities, or something close to that ;)). And of course, Godot being one of the GitHub-hosted projects, you can work on your Hacktoberfest milestones by contributing directly to Godot's source code or documentation. First of all head to the Hacktoberfest 2018 website and register with your GitHub account (if you haven't one, you'll have to register there too). The Hacktoberfest website has plenty of resources to get you started, and tips on how to find projects that you could be interested in, so make sure to check it in depth. This is also the place to work on the class reference, the documentation of all nodes available in Godot and their properties and methods. The Hacktoberfest label on the source code repository lists some "newcomer-friendly" issues that you can have a look at. Note that you are not limited to those issues, you can work on anything you want - this selection is just a shortlist. Similarly, the Hero wanted! label also has a selection of issues ready to be worked on, where project maintainers or users have done enough initial debugging to point you in the right direction (see our recent blog post about the "Hero wanted!" campaign). You can also browse all other issues of the code repository which are in the 3.1 milestone (our main focus currently), and especially the ones labelled as bug. Have a look at the contributor's documentation, especially the CONTRIBUTING.md, the Pull Request workflow and the Code style guidelines. Join the #godotengine-devel IRC channel on Freenode (also bridged on Matrix) to discuss with fellow engine contributors. If you want to work on the class reference, have a look at the dedicated page. To contribute to the online documentation and tutorials, the main repository is godotengine/godot-docs. Note that as mentioned above, contributions to the class reference should instead be done directly in the engine repository (as the class reference is also included offline in the editor). Check the list of issues and see if there's anything you'd like to work on. Review the documentation on how to write documentation (yes, that has to be documented too!). Join the #documentation channel on Godot's Discord server (most active place to discuss with fellow documentation contributors), or if you prefer the #godotengine-doc IRC channel on Freenode (but it's less active). That's it! It's a lot of links and documentation, but you of course don't need to review everything in depth, look in priority at the contributor's documentation and then pick something you'd like to work on. Enjoy your Hacktoberfest and have fun contributing to your very own engine!